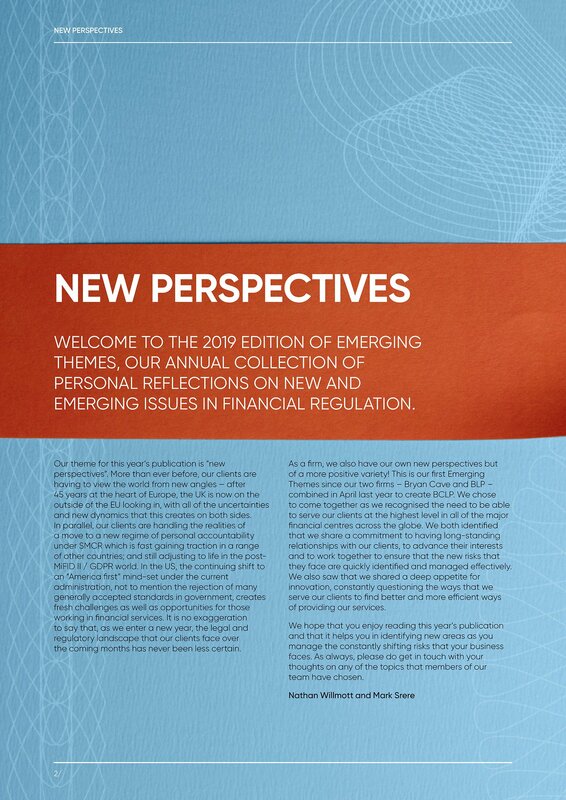 EMERGING ISSUES IN FINANCIAL REGULATION. and new dynamics that this creates on both sides. the coming months has never been less certain. they face are quickly identified and managed effectively.